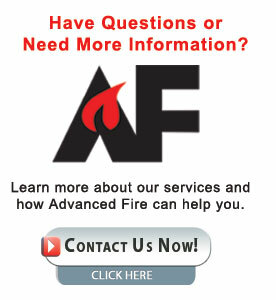 Welcome to Advanced Fire, Inc.
Advanced Fire, Inc. designs, engineers, installs and services high level fire safety, detection and suppression systems. We serve businesses and organizations throughout the Midwest region, protecting people and critical assets while minimizing downtime and business interruption. Our clean agent fire suppression systems utilize non-damaging chemicals to suppress fire & remove heat in seconds! Air sampling equipment detects combustion particles & generates early warnings to prevent serious fire loss. Testing & control systems equipment provide for greater suppression system efficiency.